Montpellier is a city in Southern France. It is situated on hilly ground 10 kilometres inland from the Mediterranean coast on the River Lez. Montpellier has a Mediterranean climate (Köppen Csa), with mild, somewhat wet winters, and very warm, rather dry summers. The monthly mean temperatures range from 7.1 °C (44.8 °F) in January to 23.4 °C (74.1 °F) in July. Annual precipitation is around 660 millimetres, and is greatest in fall and winter, but not absent in summer. Several studies project that the Montpellier climate will change in the future with higher temperature and more frequent droughts conditions and that these changes are expected to have an important impact on the agriculture sector. To cope with this, it is important that agriculture in Montpellier take appropriate adaptation measures. The challenge is to make food production more efficient, sustainable and able to cope with the projected effects of climate change. Agroforestry is less vulnerable to climate change. Trees provide shelter to crops and reduce damages due to high spring temperature. Biodiversity is increased since it creates a diverse habitat where wildlife species can live. It also acts in controlling pests and enhancing pollination. Farmers can diversify their products, increase their income and improve soil and water quality, reduce (wind) erosion and prevent damage due to flooding. Soil and water quality is improved, so preventing from erosion. Agroforestry plays a role in maintaining land for future generation. Agroforestry schemes are a long term investment. It takes some time until trees mature and provide the functions and benefits described. Short term investments that aim at quick financial returns hardly ever support agroforestry schemes. The implemented solution is based on adoption of an agroforestry scheme, a combination of trees and crops cultivation. In the case of Montpellier, the scheme adopted was comprised of a combination of walnut trees and wheat cultivation. Agroforestry provides a different land use option, compared with separated traditional arable and forestry systems. It makes use of the complementarity between trees and crops, so that the available resources can be more effectively exploited. It is a practice that respects the environment and has an obvious landscape benefit. Efficient, modern versions of agroforestry have been developed, that are adapted to the constraints imposed by mechanisation. The agroforestry plot remains productive for the farmer and generates continuous revenue, which is not the case when arable land is exclusively reforested. Agroforestry then allows for the diversification of farm activity and makes better use of environmental resources. In addition, over time, agroforestry farms can become less dependent on crop subsidies, and less susceptible to crop price variations, as timber generates a significant part of their income. The amenity value of silvoarable parklands in the near future may also be a valuable asset to farm enterprises. Greater ecological connectivity across urban regenerated sites. Several stakeholder organisations from France, The Netherlands, and Greece were involved in the SAFE project. 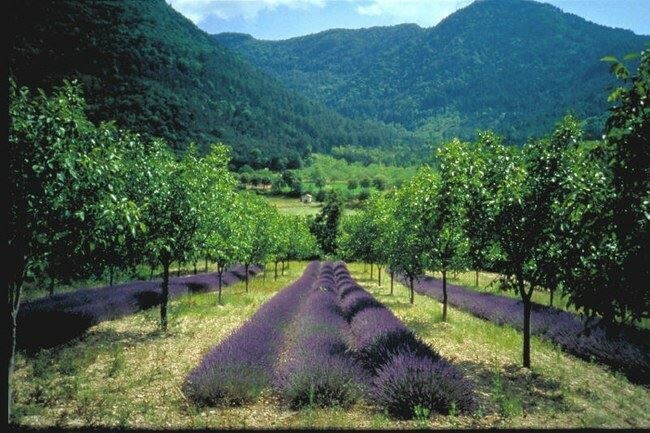 In France, APCA (the national chamber of Agriculture in France) was responsible for the establishment of a network of agroforestry system demonstration plots that is now a very efficient tool for agroforestry extension.